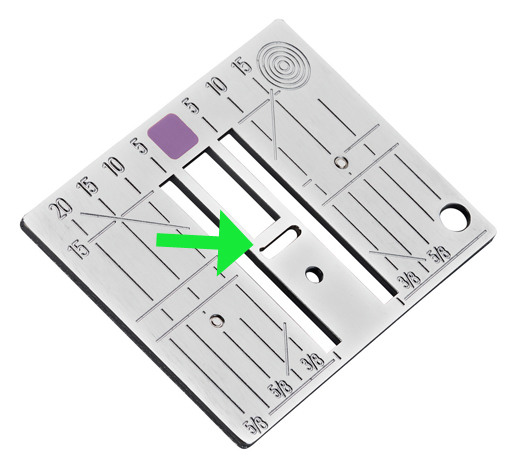 The Straight stitch needle plate for your machine is one of the very best accessories to help improve machine piecing and machine quilting. 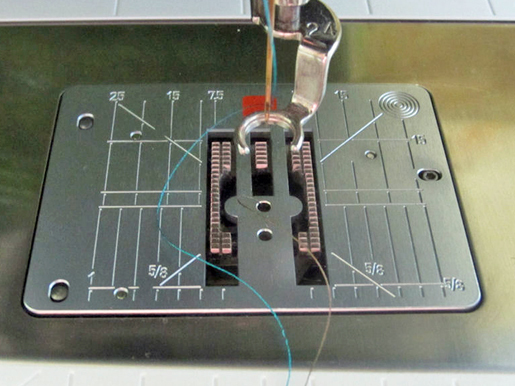 The needle opening in the standard (zigzag) stitch plate is open to accommodate the width of your machine’s widest stitch. On most BERNINA models this is a little more than 5 mm or 9 mm. 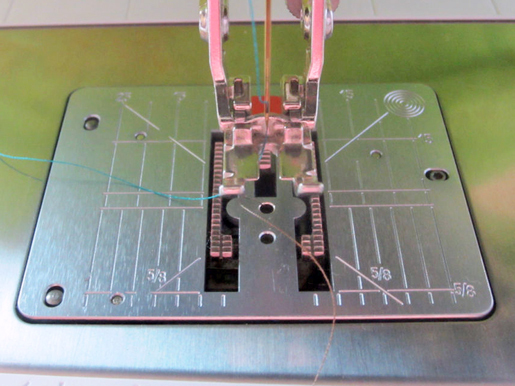 The small needle hole in the Straight stitch needle plate prevents the leading edge of our piecing or quilt from going down into the heart of the machine (the bobbin area). The red square on the back of the plate is a reminder that this is a STRAIGHT stitch plate and should only be used with STRAIGHT stitches. (Guess what happens when you use a zigzag stitch with a straight stitch plate?) 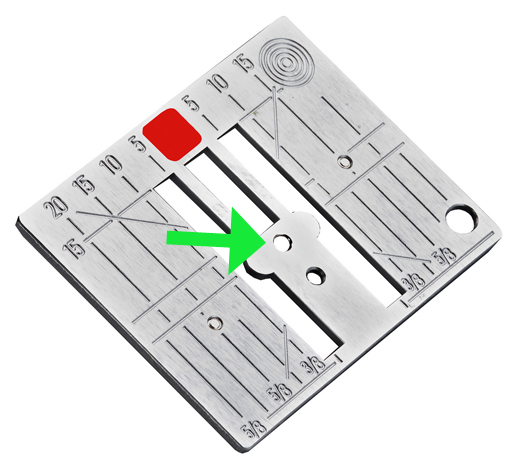 If your BERNINA has the security function available, you can tell your machine that you are using the Straight stitch needle plate, and your BERNINA is smart enough to keep you from breaking a needle by using a zigzag stitch with this plate. The needle hole in the stitch plate works nicely with the narrow needle slot in the patchwork feet; Patchwork foot #37/#37D, Patchwork foot with guide #57/#57D or Patchwork foot #97/#97D. It’s also wonderful for free-motion quilting, supplying extra support under the fabric around the needle. And lastly, when getting ready to start a brand new patchwork project, inserting a brand new needle along with using the right foot and stitch plate can make a world of difference when you want that perfect quarter inch seam! I just made my first quilt top, a brick wall pattern, from jelly roll strips….lots of piecing, what was I thinking??? But my first step was to buy the straight stitch plate for my 750….and guess what…perfect piecing. Very happy with the outcome.